From exclusive showcases to DJ-workshops & the launch of a new talk show: The Student Hotel during this year's ADE. 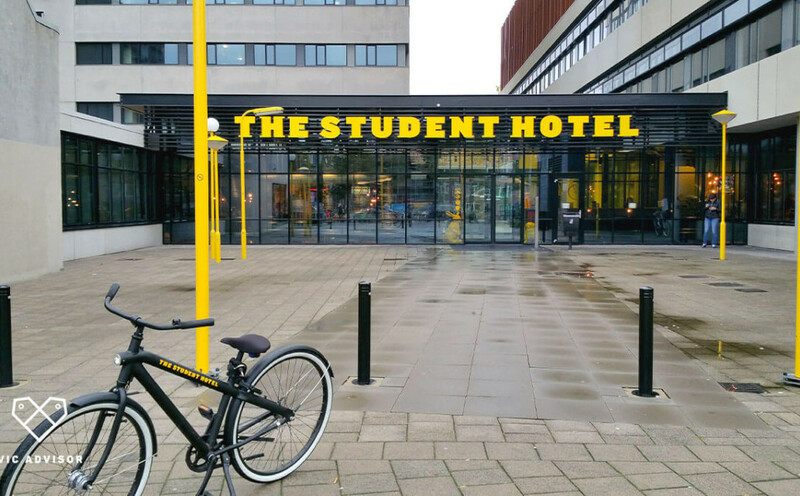 The Student Hotel is one of the official ADE hotels and the hub where everything comes together this year. Besides being the 538DJ Hotel, where Lucas & Steve, Sunnery James & Ryan Marciano, Jonas Blue and Dimitri Vegas & Like Mike come by, they are also the base for industry sessions, DJ-workshops, the working club and a brand-new talk show. Het Parool, PS van de Week & TSH present you a talk show with host writer and comedian Johan Fretz. He will invite interesting guests who all have a connection to Amsterdam. Every month Martijn Nekoui – creative entrepreneur, founder of MOAM & Forbes 30 under 30 nominee – jumps in during PSlive and give you the city tips you need to know about talents, shows and more. During the first edition of this talk show, Johan invited Garage Noord's Bran Owusu & Daan Alvering and Jose Wolding of The Media Nanny. They will talk about entrepreneurship within the dance industry of Amsterdam. The ADE Collaboration comes in for those who tend to seek a good ‘work and having fun’ balance. If you want to have a break you are just two meters away from The Commons Restaurant for food and cocktails. You can also jump in at one of the DJ-Workshops of Pro DJ school which will take place from noon till 6 PM every day. Besides everything that is happening at TSH Collab, the lobby of TSH and the Parool Theater, you can also go to the boutique designed loft of TSH, which is also known as The Play Room. The Play Room will be transformed partly into the Dance Department Radio and partly into the industry Sessions where driven talents, professionals and entrepreneurs come together to connect and inspire each other. The events at The Student Hotel are mostly free of charge. The paid events are accessible for ADE Pass and ADE Conference Pass Holders, available here, ADE Card Holders (limited), available here & Single Ticket Holders (€5,-) at the door.